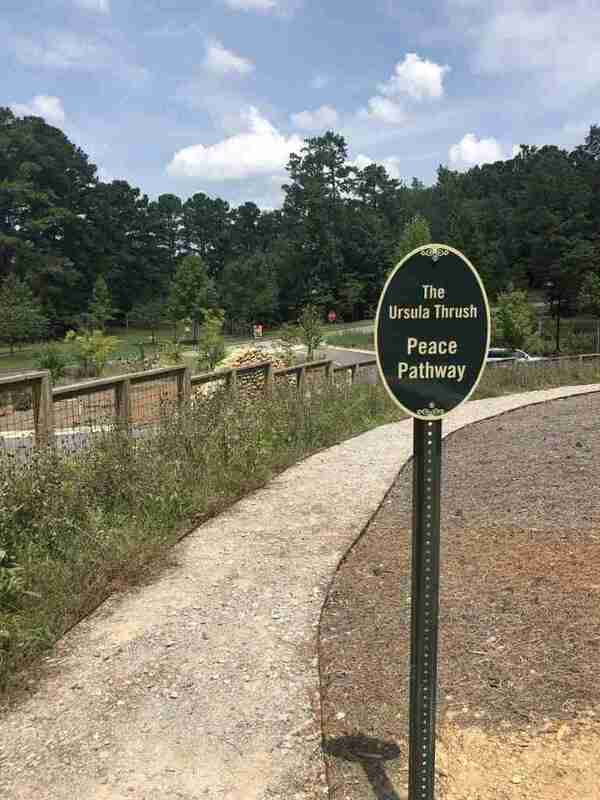 Hilltop was super excited to receive our second Ursula Thrush Peace Seed Grant and the funds were used for our winding trail down to the Phase Three property. We feel that children learn best when they have outdoor nature opportunities and can pause throughout their day for quiet and peace. In particular with our technology-driven world of instant gratification, taking the opportunity to move quietly allows our students better focus in the classroom. We are always so proud of our campus, but in particular, we love our new peace pathway.